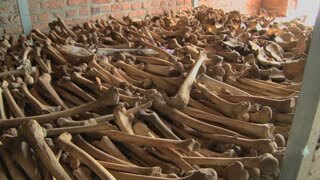 Leg bones of skeletons in long rows offer a grim remembrance of the Rwanda genocide. 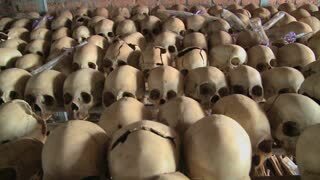 Dolly along hundreds of skulls in rows in a church following the genocide in Rwanda. 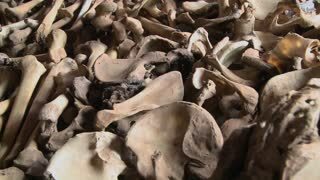 Bones lie in display in a church in Rwanda following the genocide there. 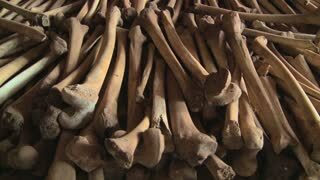 Hundreds of leg bones line the catacombs of a church following the Rwandan genocide. In Dunkirk, a city in the north of France. Beach of Malo les bains. People are walking around. Herbs in the foreground. In the background, there is a pier and the Feu de Saint-Pol, an old lighthouse. Iranian people walking in Si-o-Se-Pol bridge at sunset. Isfahan, Iran. Aerial view of beach of "Sant Pol de Mar". Activity on the beach of this Village of the province of Barcelona, a springtime sunny day. Aerial view of "Sant Pol de Mar".Time lapse. Village of the province of Barcelona, a springtime sunny day the fast movement of activity and shadows and sunlight. 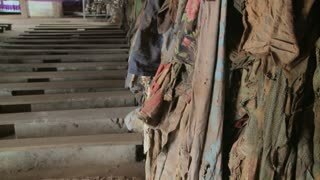 Tilt up reveals a Rwandan church following the genocide there with clothes of victims hung on walls. 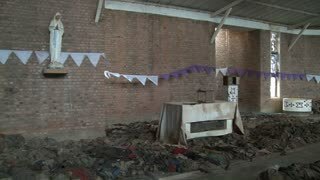 A wide shot of a church in Rwanda where thousands were killed during the genocide there. 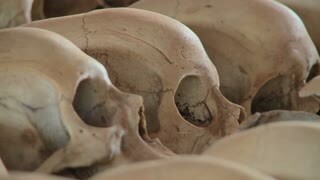 Close up of skulls on display in a church dedicated to the Rwandan genocide. 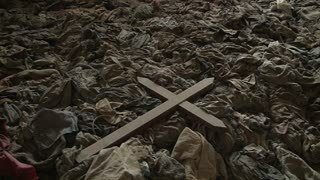 A cross sits amongst the scattered clothing of victims following a genocide in a church in Rwanda. Tilt shot on a high pol with antenna on top and reflectors around. Time lapse video of the norther lights during a full moon in the BWCA on Lake Polly. 4k time lapse, 4096x2304.